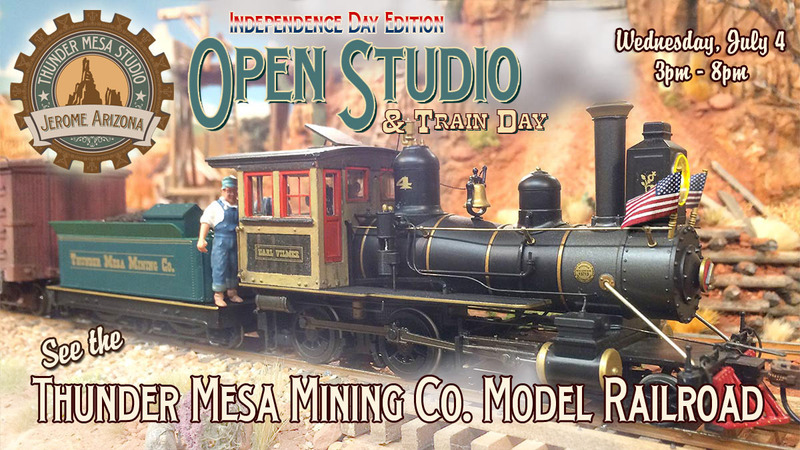 The one way to get exactly the structure you want on a model railroad is to design it and build it from scratch. 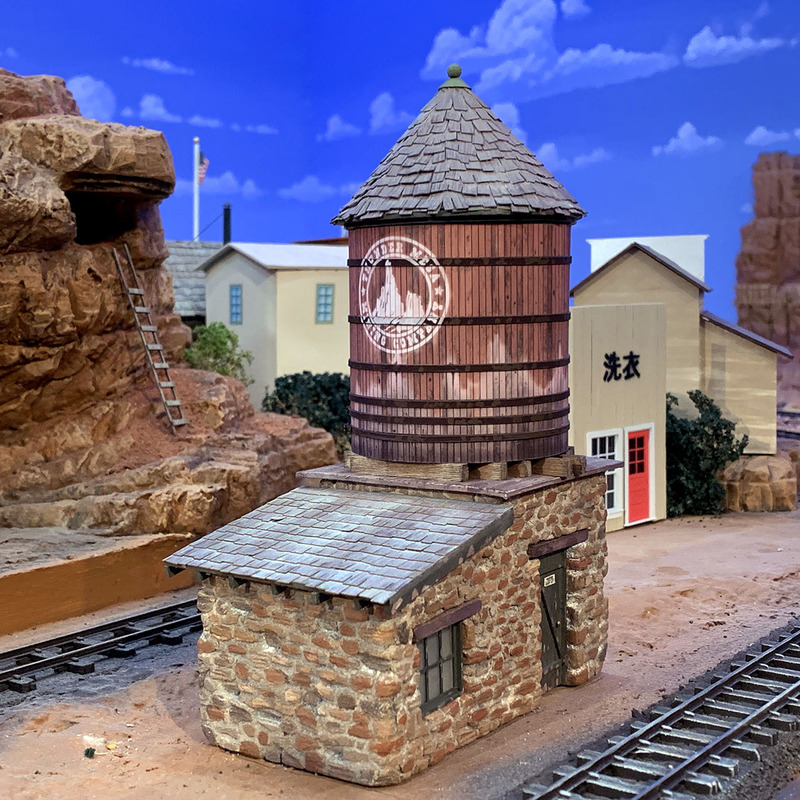 The original water tower for Thunder Mesa Town was a built from a modified Banta Modelworks kit, but after I decided that it fit better in the scene over in Hanging Rock, I was left needing a new tank for this location. 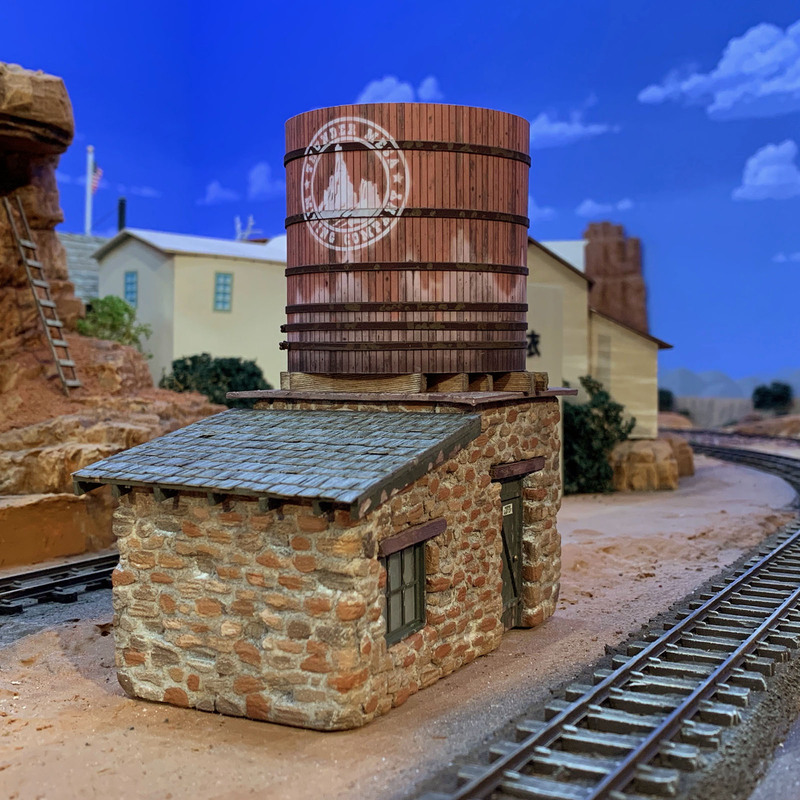 I've always liked the look of stone-based water towers, so when it came time to replace the tank at Thunder Mesa Town, I had a pretty good idea of what I wanted. 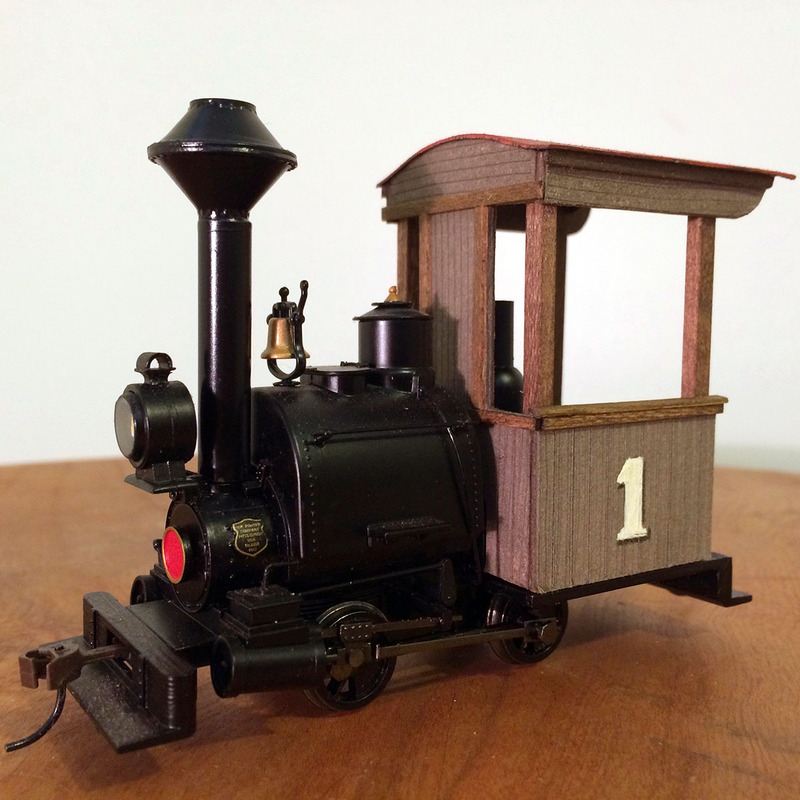 I also wanted the railroad's herald to appear painted on the sides of the tank, and these requirements led to the materials and techniques used on the project as described below. 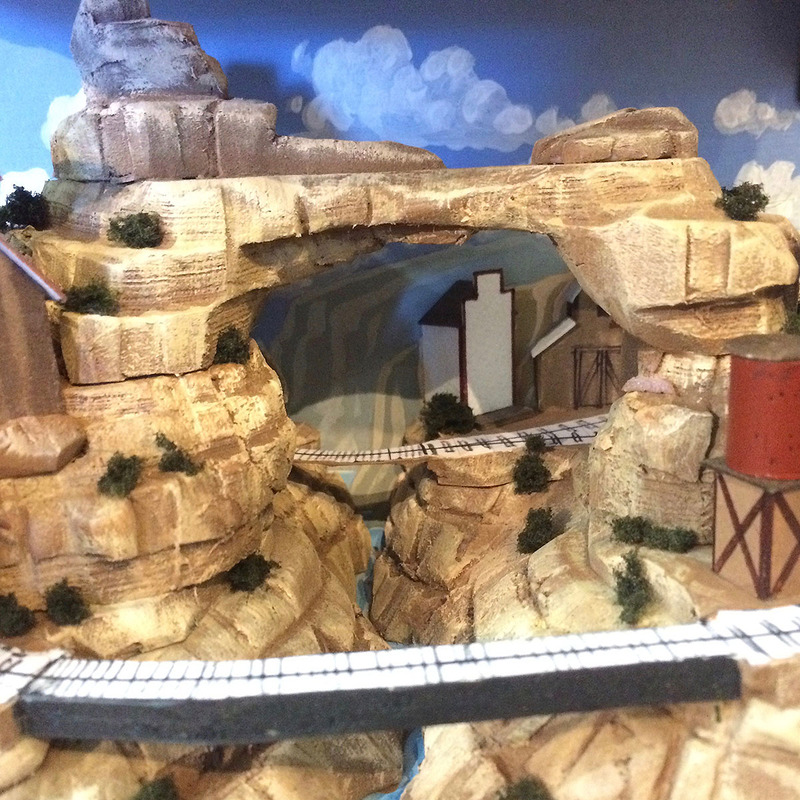 For the stone base, I turned to a versatile material that has been used many times before on the Thunder Mesa layout: Balsa Foam. Balsa Foam is basically the retail hobby version of the "gold foam" or "prop foam"used by Disney Imagineers and Hollywood prop makers. It has an excellent consistency for carving and no grain. I prefer the denser version sold as Balsa Foam II for its ability to hold finer detail. 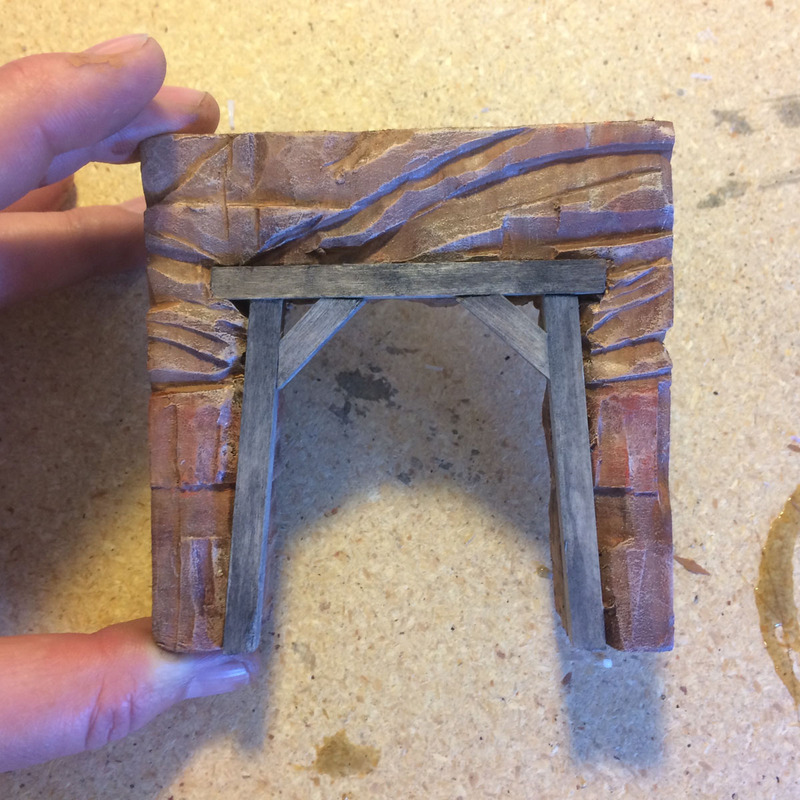 The stones for my pump house were carved using a hard HB pencil lead and a #11 hobby knife. I measured carefully for the doors and windows, and then carved out cavities for them so that they would appear recessed into the the masonry. Behind the window, I hollowed out a larger cavity so that the structure could be lit from within. Balsa Foam creates a lot of fine dust while carving so breathing protection should be worn. 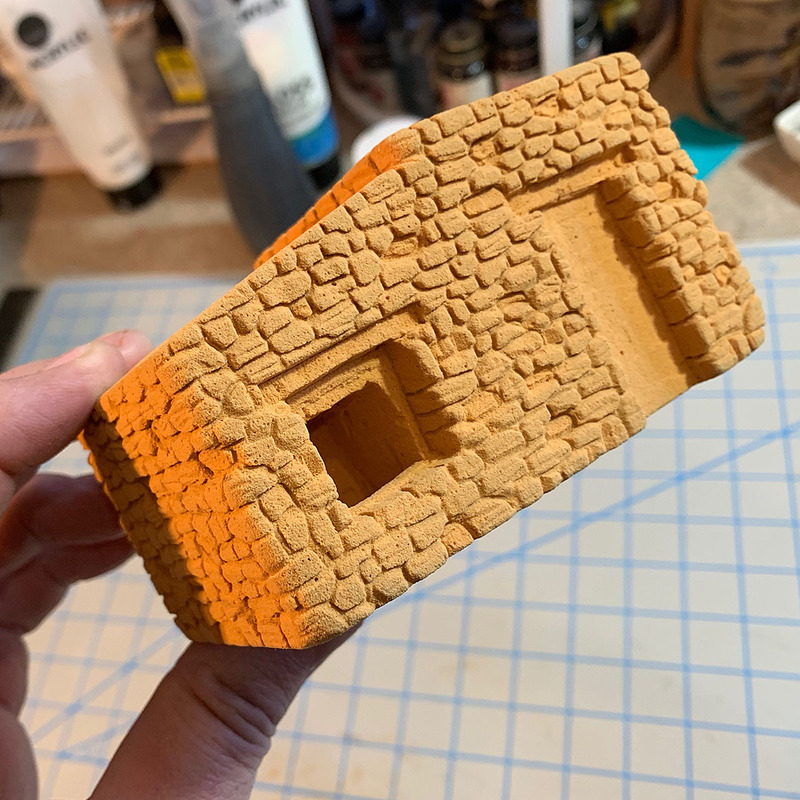 Spray paint makes most foams disintegrate, but Balsa Foam is non-reactive, so the finished carving can be primed with your favorite brand of rattle-can paint. I used Krylon Ultra Flat Camouflage Brown. 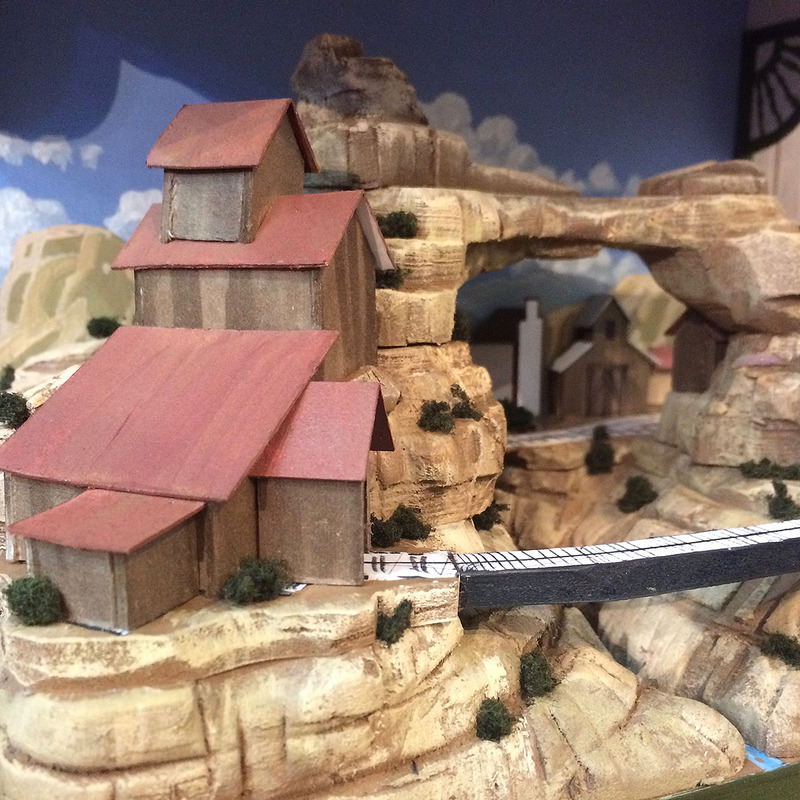 Once that had dried completely, the stonework was painted with inexpensive craft store acrylics. 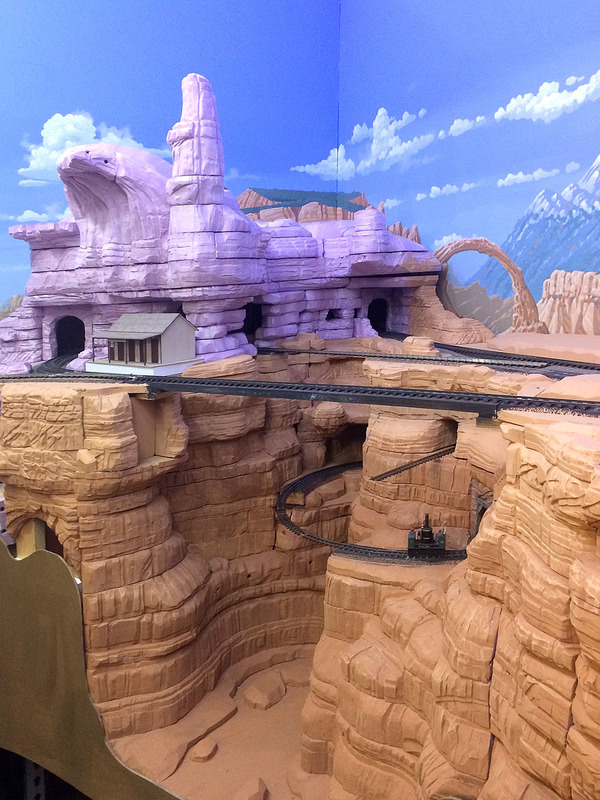 I chose colors that matched the scenery on my layout since I wanted it to appear that the stones were quarried locally. When satisfied with the painting, joint compound was pushed into the cracks to simulate grout between the stones. The excess was removed with a wet brush and, once dry, a thin, dirty wash of acrylics (basically the paint water) was applied over the entire structure to darken the grout lines. Then some individual stones were picked out with a small brush and random earth-tone colors. I created lintels above the doors and windows with scale 6x6' strip-wood, a common architectural detail in the Southwest, then built the doors themselves from scribed basswood and wood scraps. 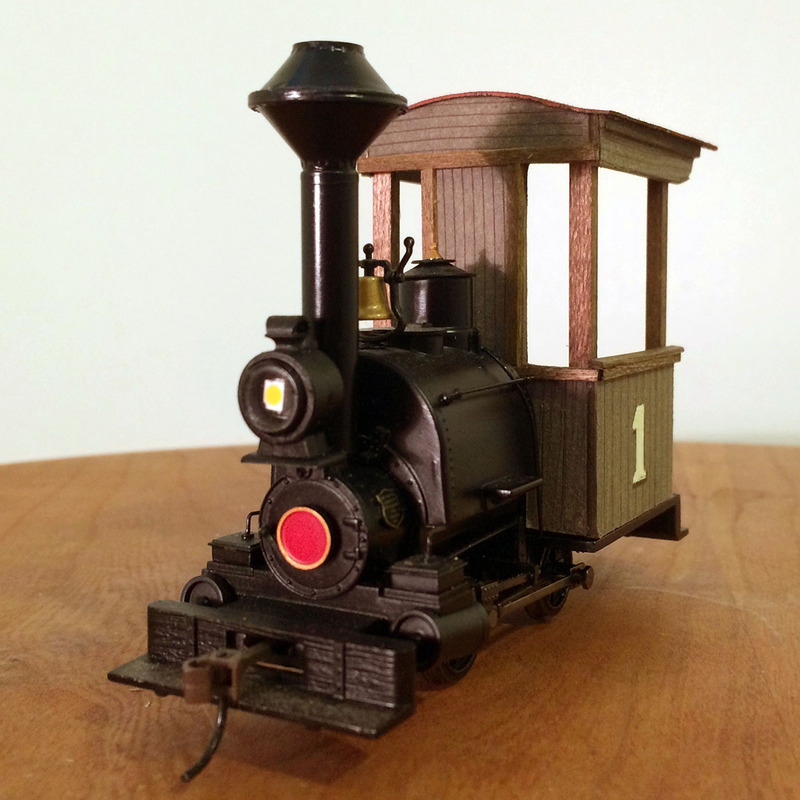 The doorknobs are Atlas HO track nails, painted with Model Masters brass. The solitary window is a Grandt Line 6 over 6 masonry window casting cut in half and re-assembled with styrene cement. The roof panels, rafters and trim are all Crescent 300 illustration board. 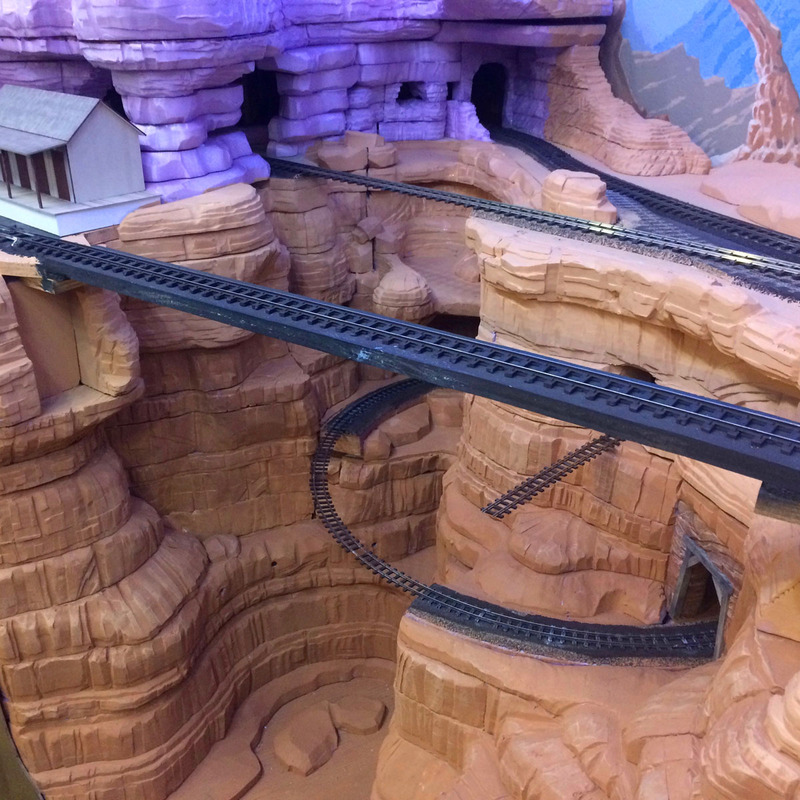 This material is about 1/16" thick and has an excellent surface for painting. I add woodgrain to the illustration board with a fine razor saw before scribing boards with a #11 hobby knife. 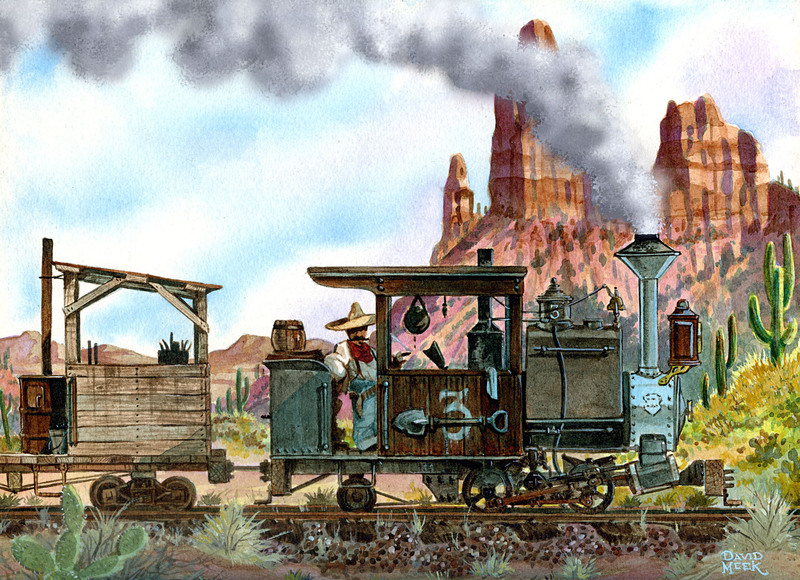 Then I paint it with watercolors, using about a 50/50 mixture of burnt sienna and cobalt blue to achieve a silvery, weathered wood appearance. The watercolors soak into and darken the score lines and woodgrain doing most of the work for you. Heavily diluted acrylics could also be used for this, but I prefer watercolors. All of the basswood pieces were also stained a similar warm gray to match. To achieve the look of old, pealing paint, I dabbed all of the trim pieces in likely spots with a latex resist known as Friskit. Rubber cement can also be used for this step but Frisket is specifically formulated for this kind of thing. Once the latex was dry, I airbrushed all of the roof pieces, doors, and windows with a dark, flat green. A half hour or so later, I rubbed the Frisket off with a kneaded rubber eraser to expose the bare wood underneath. 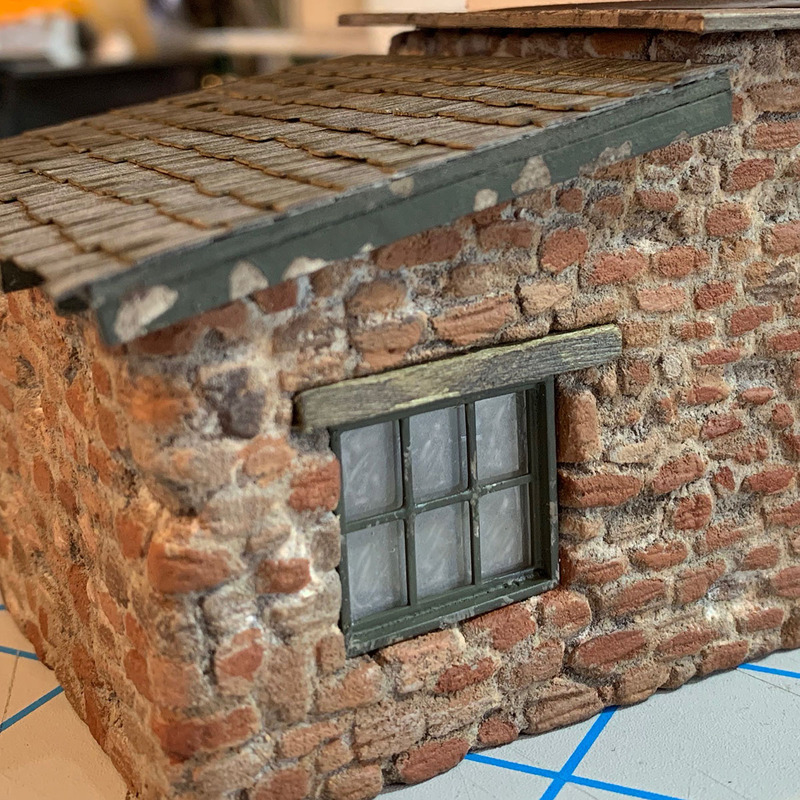 For the window, I simulated the look of old style, rippled glass by carefully painting Woodland Scenics Realistic Water onto the back of the thin acrylic glazing and then drying it quickly with a hair dryer. Since I didn't want the nearly solid interior of my structure to be visible, I also sprayed the back of the glazing with Testor's Dullcote once it was completely dry. 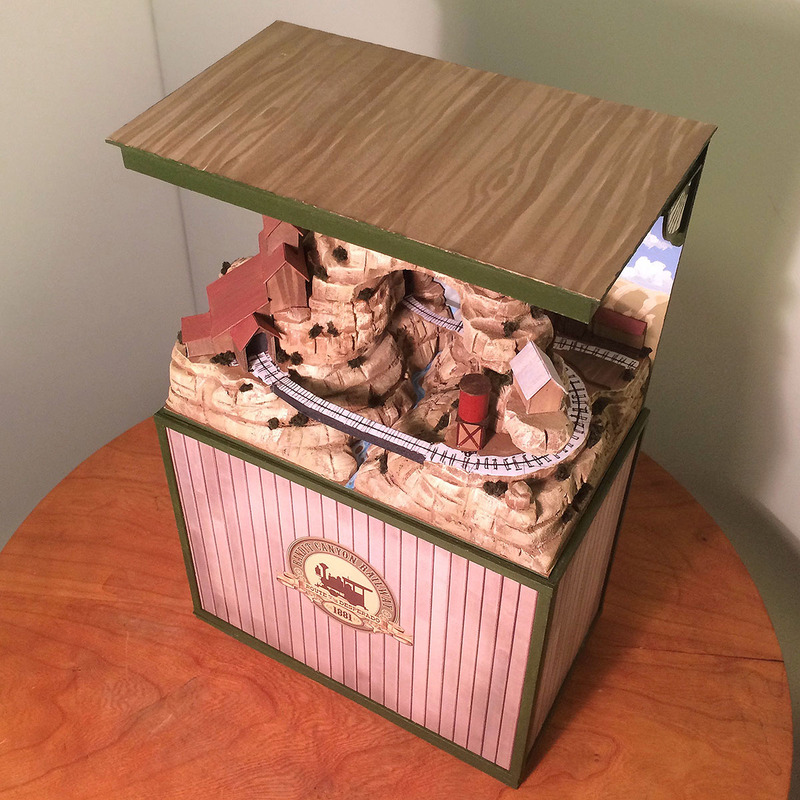 Then all of the roof, trim pieces, and doors and windows were assembled onto the structure and cemented in place with Aileen's Tacky Glue. 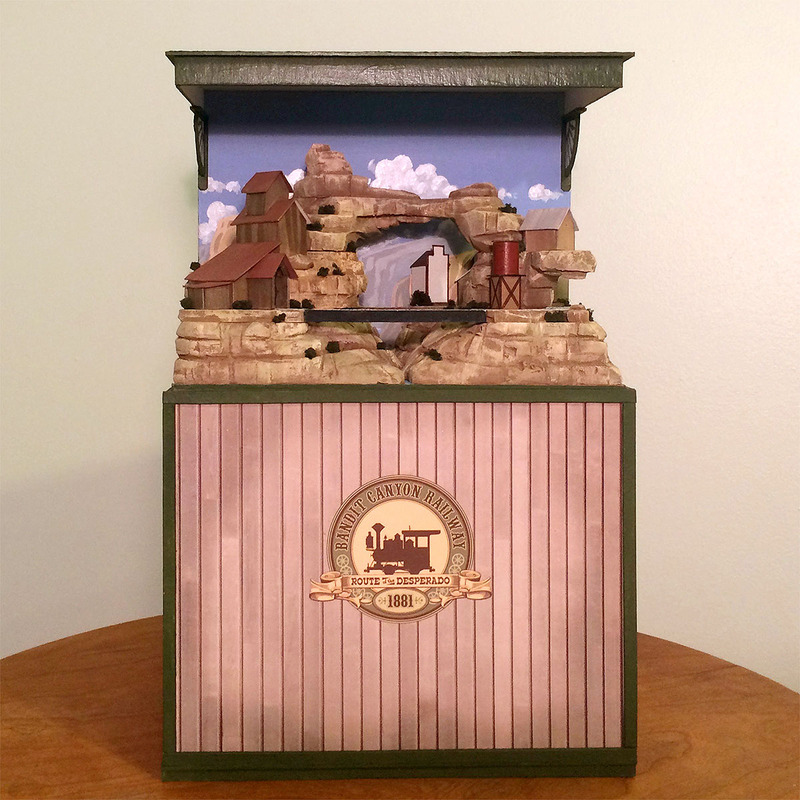 To create a tank with the look of the Thunder Mesa herald painted on the sides, I turned to the technique of using realistic printed photo textures. I downloaded free hi-res wood textures from textures.com and then created my tank wrapper in Adobe Photoshop. 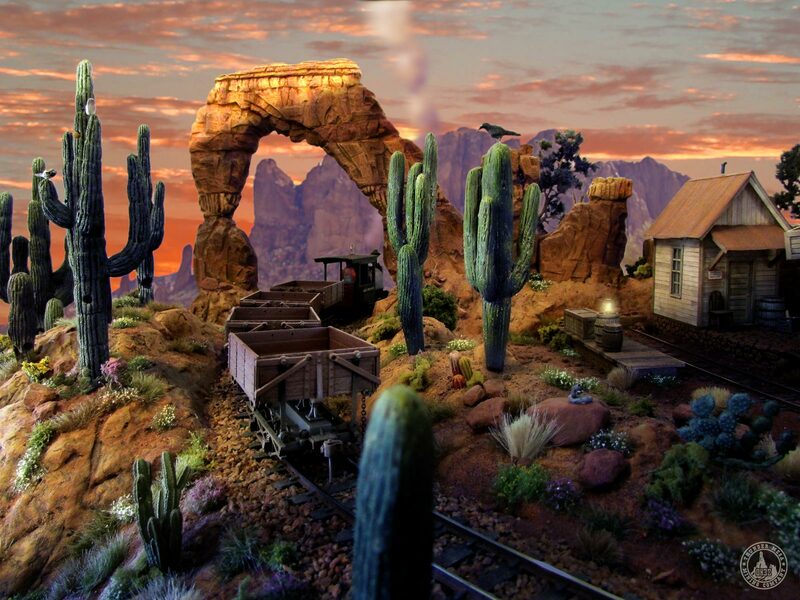 I use Photoshop daily in my work as a commercial artist so this was second nature for me, but I understand that it is expensive software and has a steep learning curve. 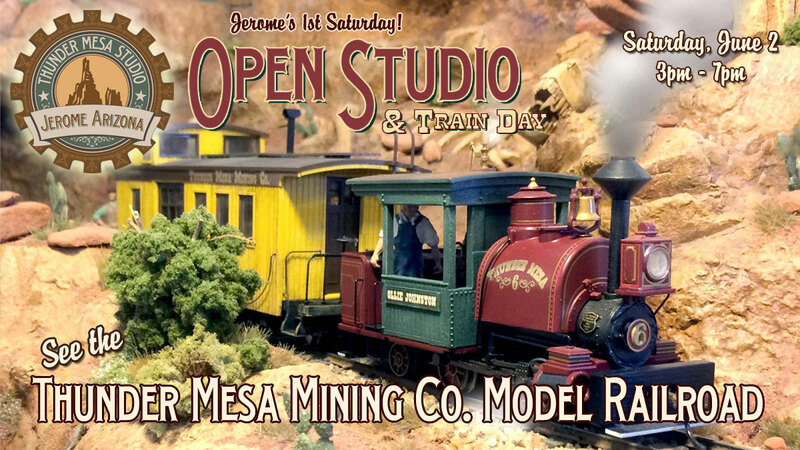 However, there are a few open source programs available like Gimp that can be used instead with very good results. I made careful measurements as to the thickness of the tank slats, bands, and the relative positions of the heralds as all would appear on the finished model. I also added water stains and weathering in Photoshop by selecting and desaturating certain areas. 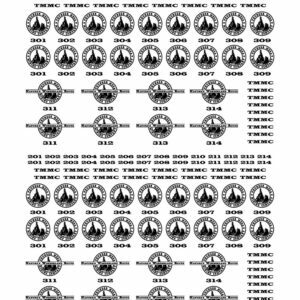 Then I printed several copies of my tank wrapper on Epson Premium Matte Presentation Paper using the highest quality setting on my inkjet printer. To build the tank, I laid out two 2.5" diameter circles on illustration board using a compass. Then the circles were cut out with a hobby knife. To insure that the circles were perfectly round and would align properly, I placed one atop the other and then drilled the compass point holes all the way through. Then I could chuck them up together in my Dremel tool and turn them against 300 grit sandpaper until the edges were perfectly matched and even. Cardstock supports were cut to size and glued in place for the tank interior, and then the entire assembly was wrapped with Bristol Board to form a cylinder. Bristol Board is a heavy illustration paper that shapes easily. Once the tank structure was built, I laminated one of my tank wrapper printouts to a second piece of Bristol using 3m Super 77 spray adhesive, using a good even coat, and rolling with a brayer to insure good adhesion. This was then cut out and carefully glued in place around the tank structure using white glue. 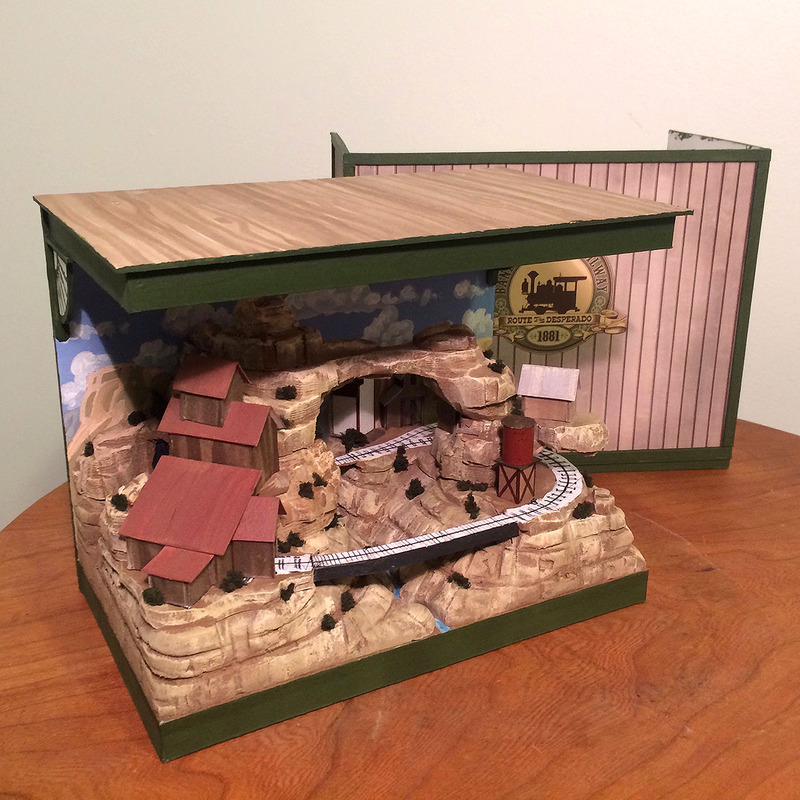 Rubber bands were used to hold everything in place until the glue set. With the tank wrapper cemented in place, I repeated the laminating process with a second printout, and then cut out the individual tank bands to glue over the printed bands on the tank. The white paper edges of each band were carefully painted dark brown before each was cemented into place. This took a little time, but was well worth it for the convincing 3-d look achieved, especially around the TMMC heralds. 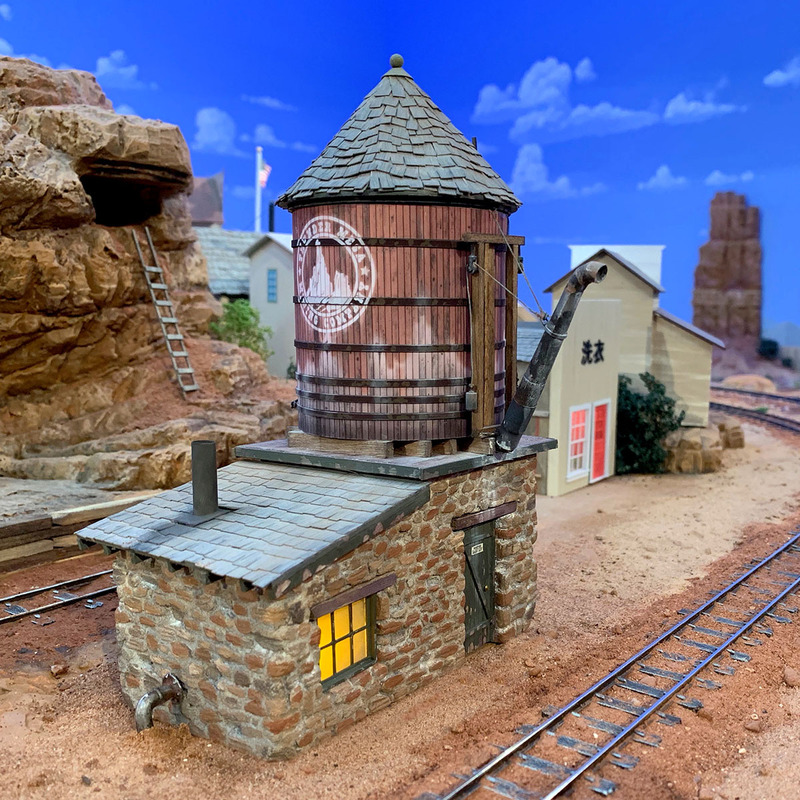 Then, the bands were finished with white metal tank band fastener castings from Wiseman Model Service - a hobby supplier that I highly recommend. 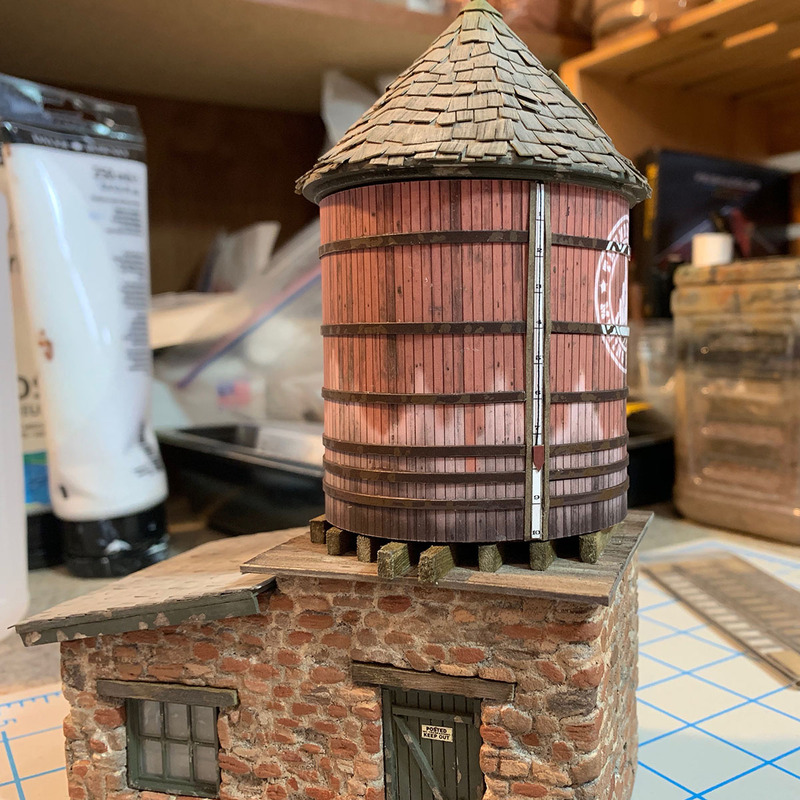 Turning to the roofs, scale 4x8's were cut to size, stained, and then glued in place to form a support structure for the tank. 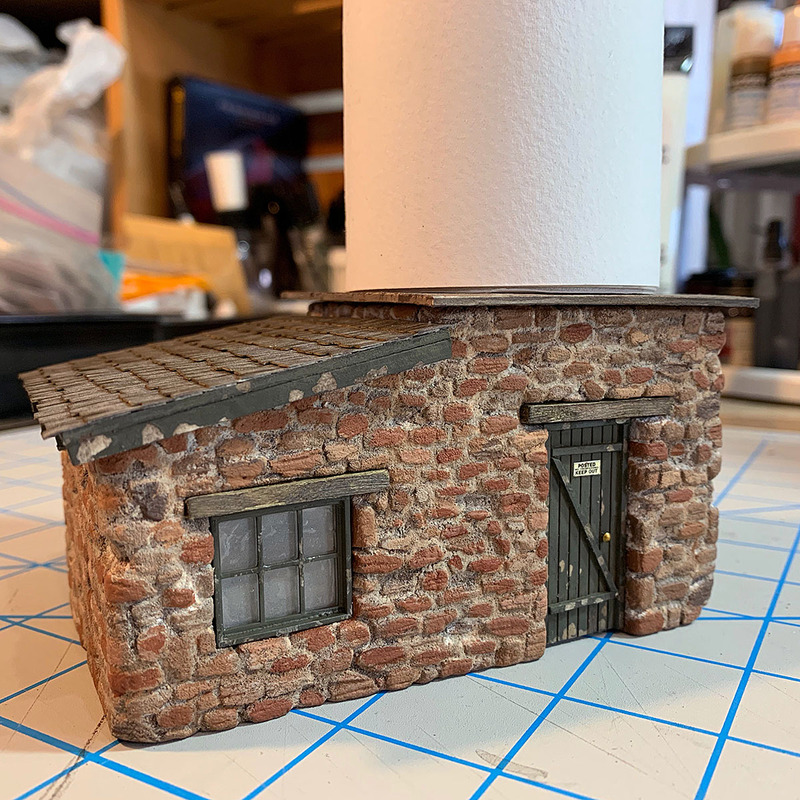 Then I finished the pump house roof with laser cut printed paper shingles from Bar Mills and these were given a heavy weathering with various shades of colored chalk dust. I wanted a conical roof for the tank, so a support structure was built from illustration board. The base is two disks, one slightly smaller than the other, and both turned in the Dremel and sanded to be perfectly round before being cemented together. The upright triangular pieces form a hexagon. This structure was then "skinned" with thinner Bristol to form a base for the shingles. The underside of the tank roof was painted a flat dark green to match the rest of the trim on the structure. 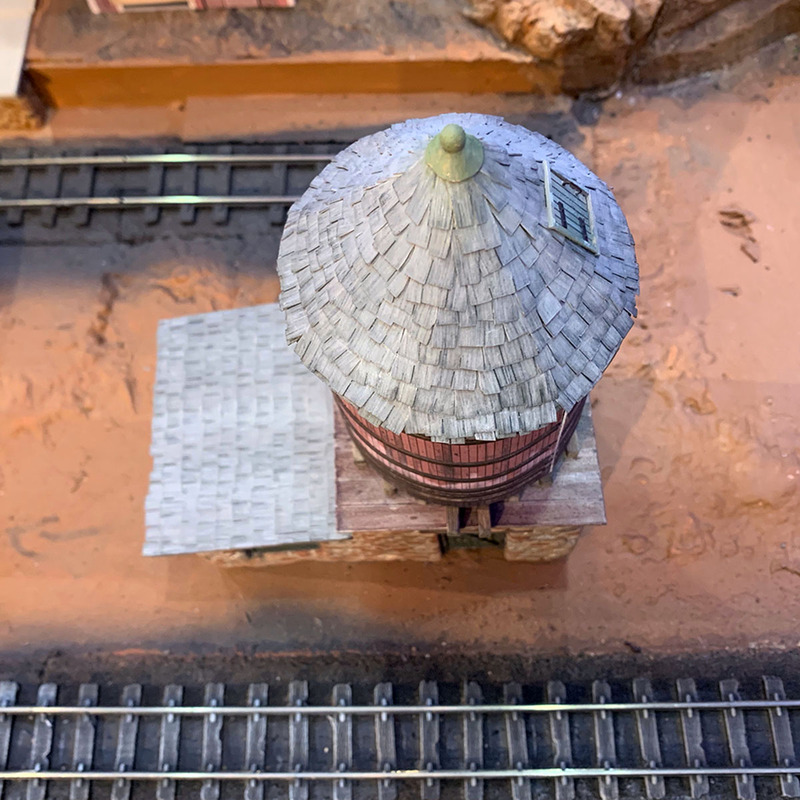 The tank roof was then shingled with Bar Mills laser cut paper shingles. 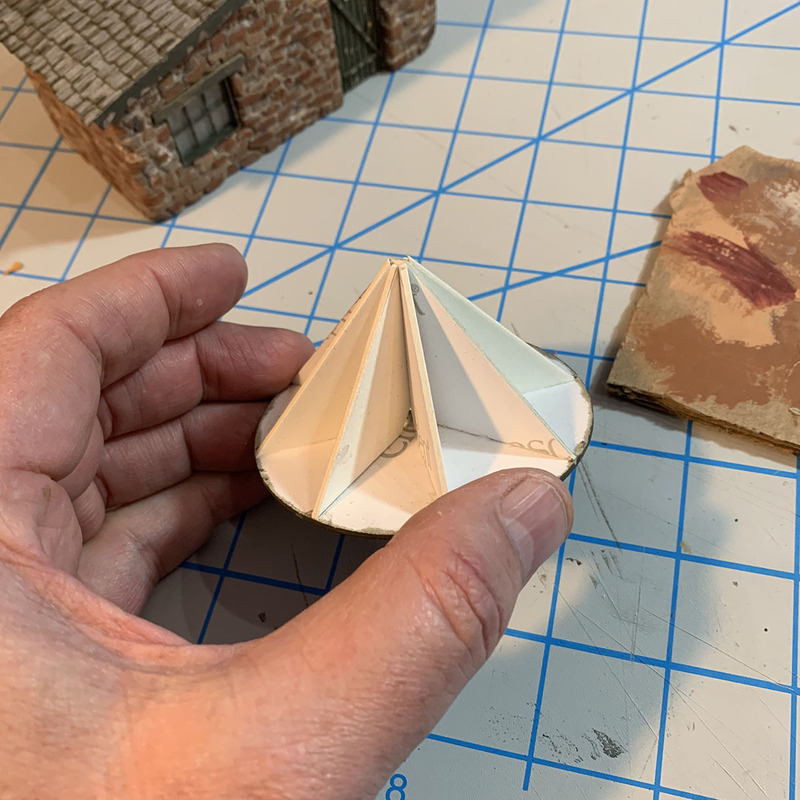 This was not as easy as it sounds since their shingle strips are designed for straight roofs, not curves, and the strips had to be cut down to just 2 or 3 shingles each to match the conical shape of the roof. After this step, a finial cap was constructed from a small cone of Bristol Board and the head from a dress pin. This was primed, then painted with Model Masters Copper before being glued in place. The finial was then heavily weathered with blue-green colored chalks to suggest oxidation and tarnish. Then the rest of the roof was similarly weathered with gray and brown chalks. Before shingling was complete, a small hatch was made for the roof from scribed basswood, wire, and some scraps from the drawer. All of this was stained and weathered to match the rest of the tank. 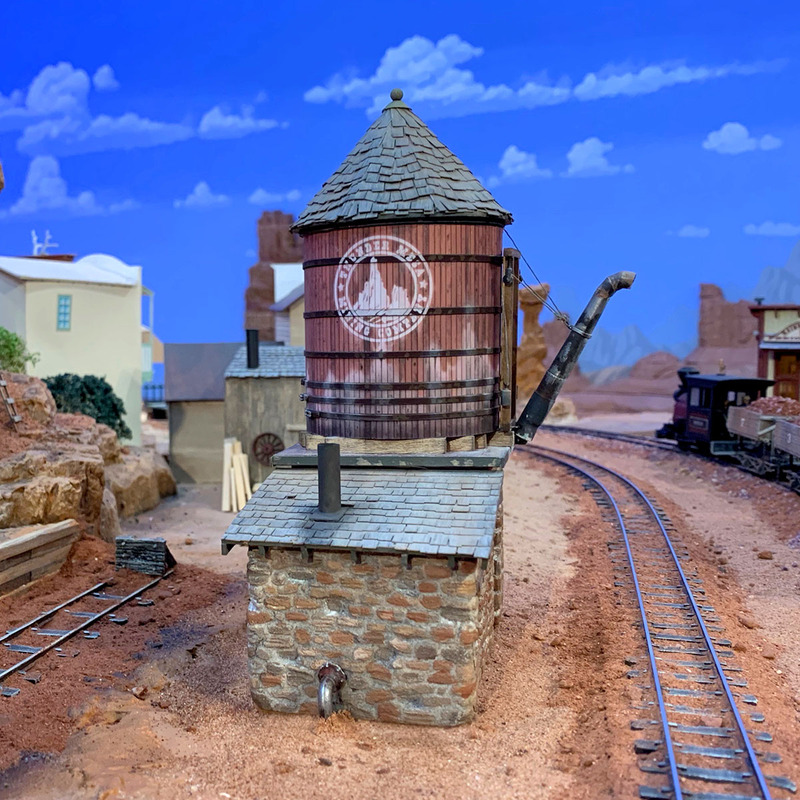 Thunder Mesa crews need to see how much water is in the tank, so a water depth gauge was created from paper, wood, and black thread and glued into place. 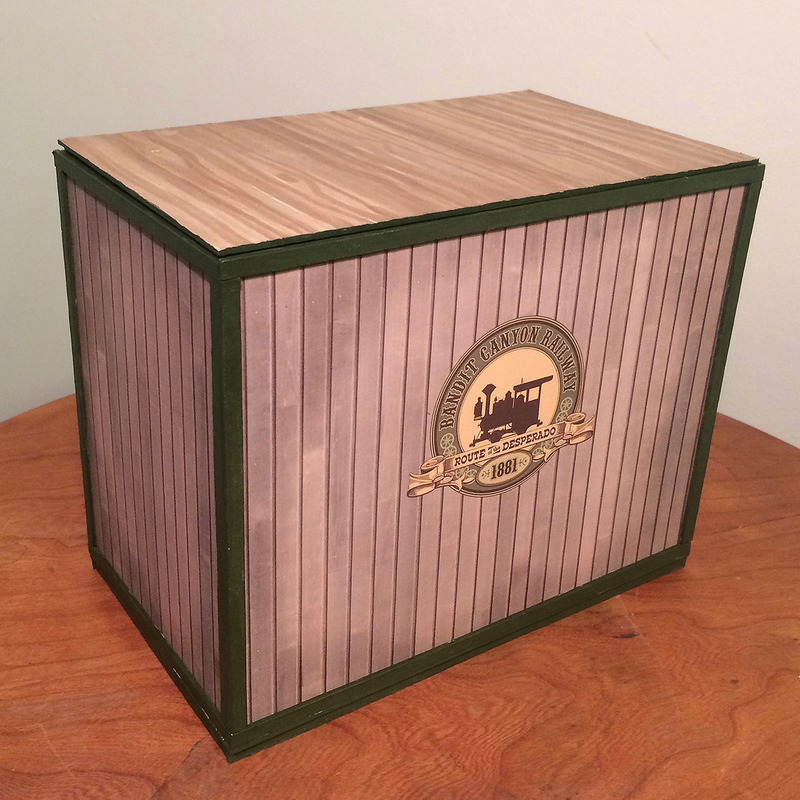 Its strategic placement also does the job of hiding the seam where the printed tank wrapper and bands come together. The spout, weights, and pulleys are Grandt Line white metal castings that were given to me by a friend of the railroad. I cleaned up the castings and then painted them with Krylon Ultra Flat Camouflage Brown paint from a rattle-can. Then I went back with a rag dipped in paint thinner and rubbed some of the paint away in likely areas. Rust and lime deposits were added by painting on colored chalk dust mixed with 70% isopropyl alcohol. The spout hanger, or yoke, was built from scale stripwood, and the cables are elastic thread that has been stained silver-gray with diluted acrylics. All of this was assembled and glued to the tank before it was cemented to the stone base. Then the roof was carefully aligned and cemented in place with white glue. 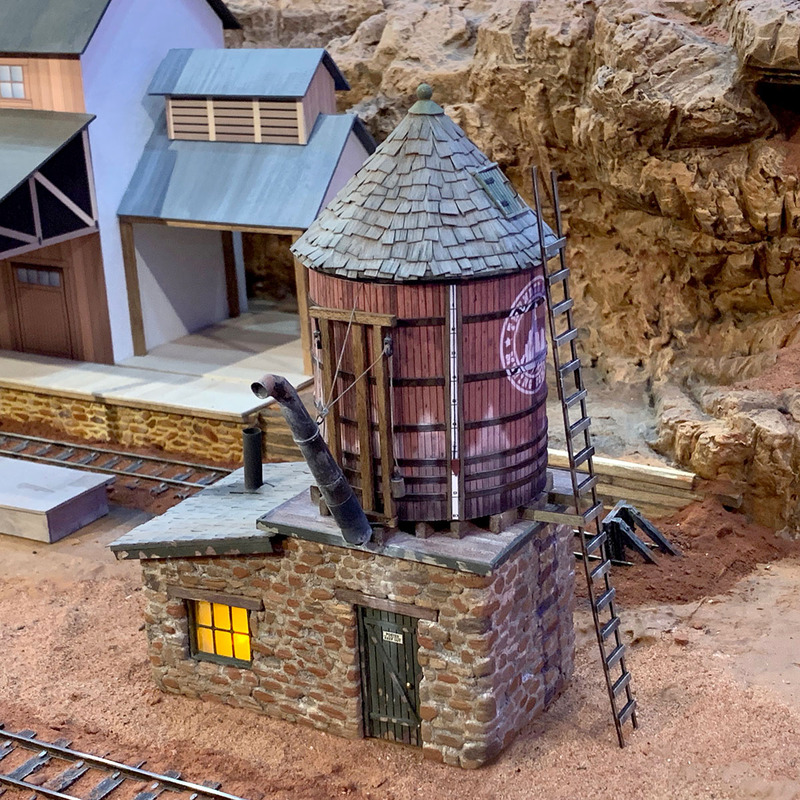 A final detail was the addition of an inflow pipe to bring water from the creek to fill the tank, a white metal piece left over from the Grandt Line spout assembly. 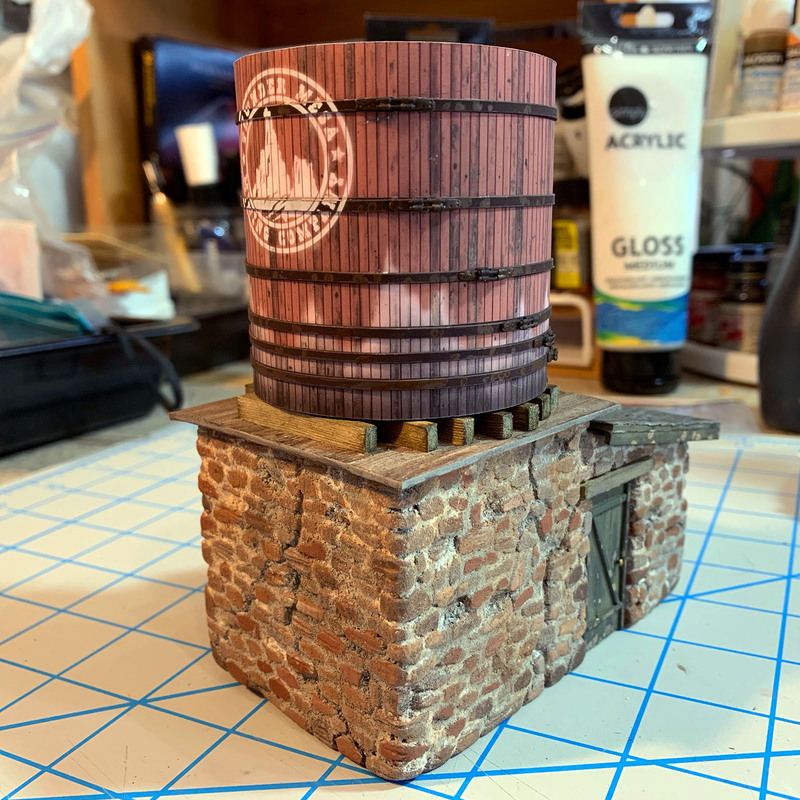 For a finished look, some matching trim was cut from stripwood, then stained and painted in the same manner as other trim on the pump house before being cemented in place below the tank. 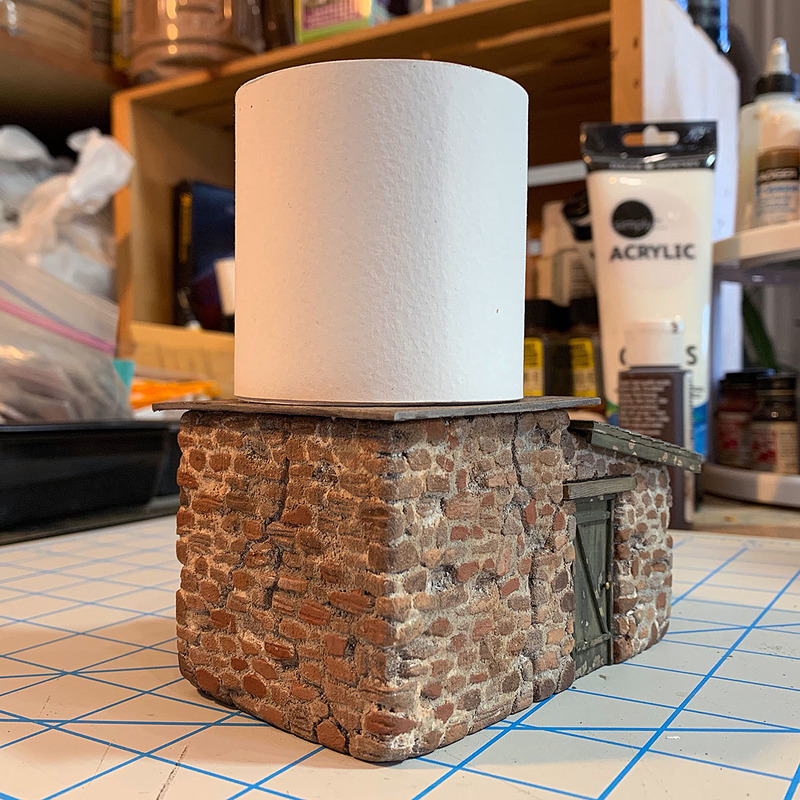 A short smokestack was created from a soda straw with a piece of styrene flashing, painted and then glued to the pump house roof as evidence of a steam powered water pump inside the structure. 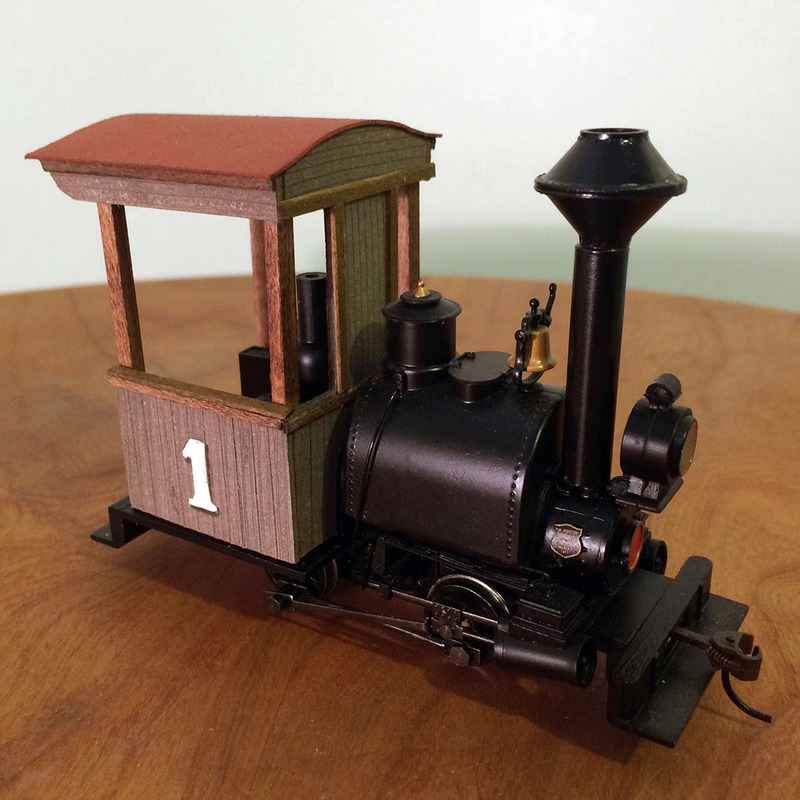 Finally, a ladder was built for the tank using two sections from a Bar Mills laser cut ladder kit. A bracket built from scrap stripwood connects the ladder to the tank and pump house roof. 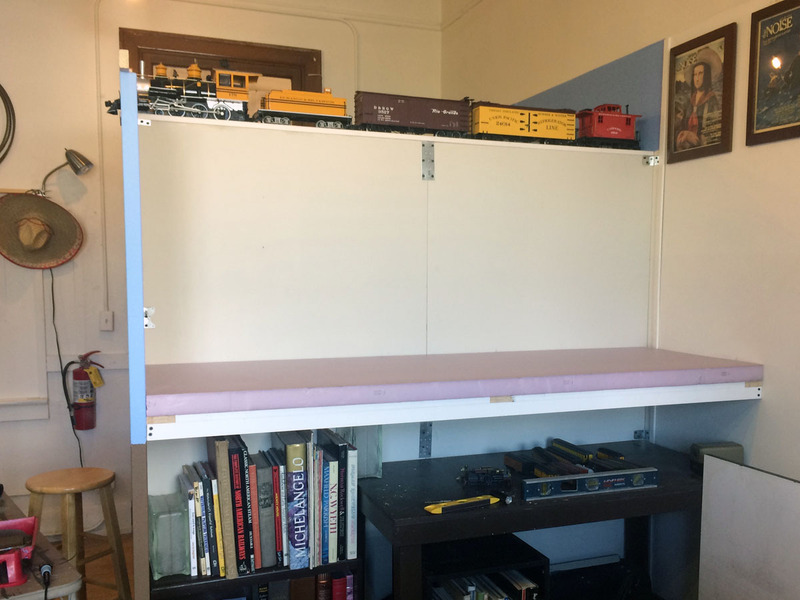 The warm glow from the pump house window is provided by a 3mm yellow LED, wired to this layout section's 12v DC lighting, sound, and animation bus. I little bit of touch up here and there with a small brush, and a little more weathering and blending with chalks, and the finished model is ready to be worked into the scene. 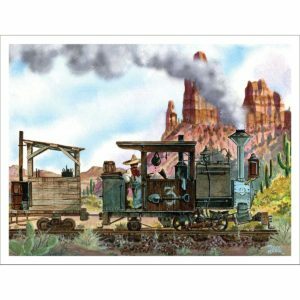 Now it can do its job, filling the saddle tanks and tenders of thirsty steamers on the TMMC. As always, thanks for checking in and following along. I hope some of you will find the techniques and materials described here useful. I'll be happy to answer any questions in the comments section below. Keep moving forward, amigos. Adios for now! 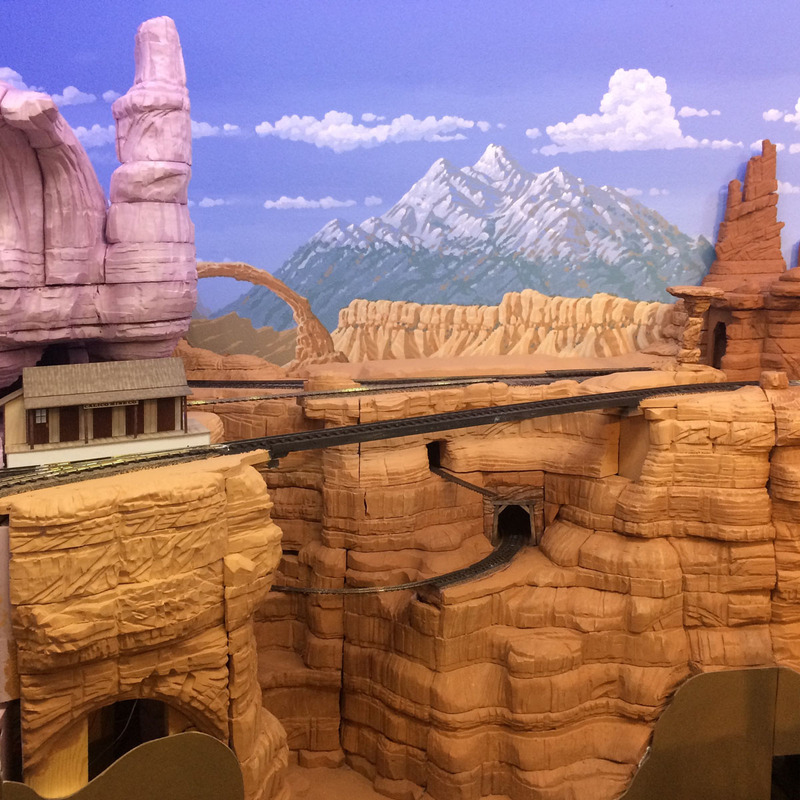 Since I'm often asked about the scenery and structure techniques used on the Thunder Mesa Ming Company and other projects, I've decided to produce a new series of YouTube videos with a step-by-step, "how-to" focus. 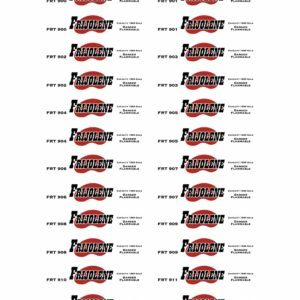 Welcome to the first two videos in that new series, "How To #1: How to Build Scenery with EPF and Sculptamold" and "How To #2: How to Paint Rockwork and Add Ground Cover." 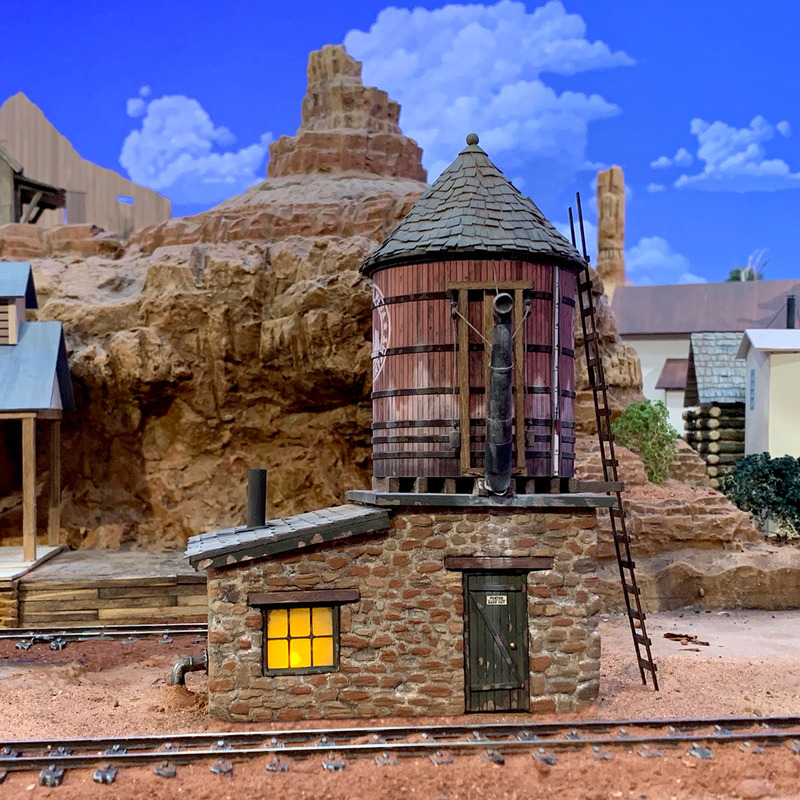 These video brings together both new and existing footage to show scenery building and finishing techniques, and to answer the most common questions about how things are done on the On30 Thunder Mesa Mining Company layout. There are several more "How To" videos in this series on the way so don't forget to subscribe on YouTube. Thanks for watching! 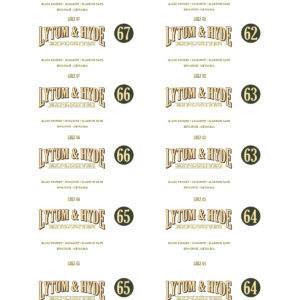 The HOn30 Skull Rock & Neverland Ry. is a pure flight of fancy. 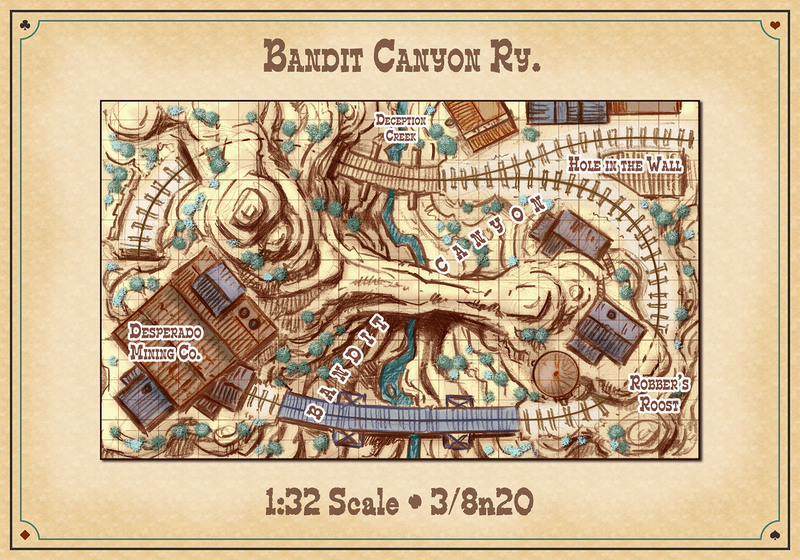 Now in the early development stages, this little layout will seek to answer the question of just what kind of railroad a fantastical land of Lost Boys, pirates, mermaids, pixies, and Indians might have. 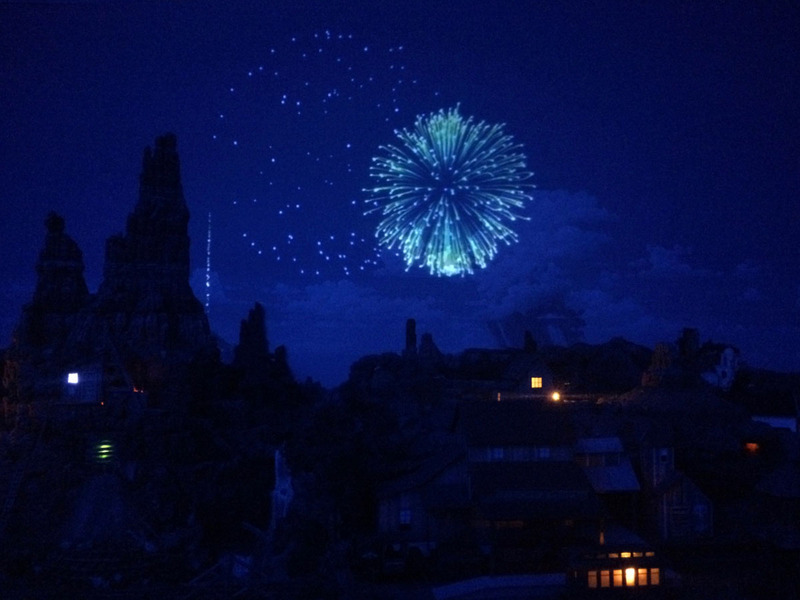 Most folks don't know this, but one of the more valuable ores mined in Thunder Mesa Country is the extremely rare and magical Neverlandium, a volatile, glowing mineral that can cause children to fly when accompanied by the thinking of happy thoughts. 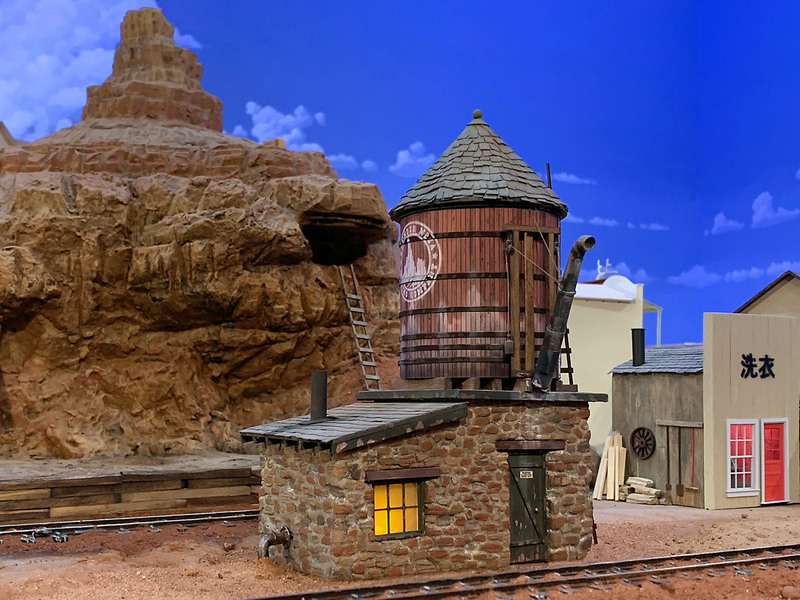 Naturally, most of this ore is shipped off to the Skull Rock & Neverland where it is used for everything from powering the locomotives to fertilizing the lush island plant growth. 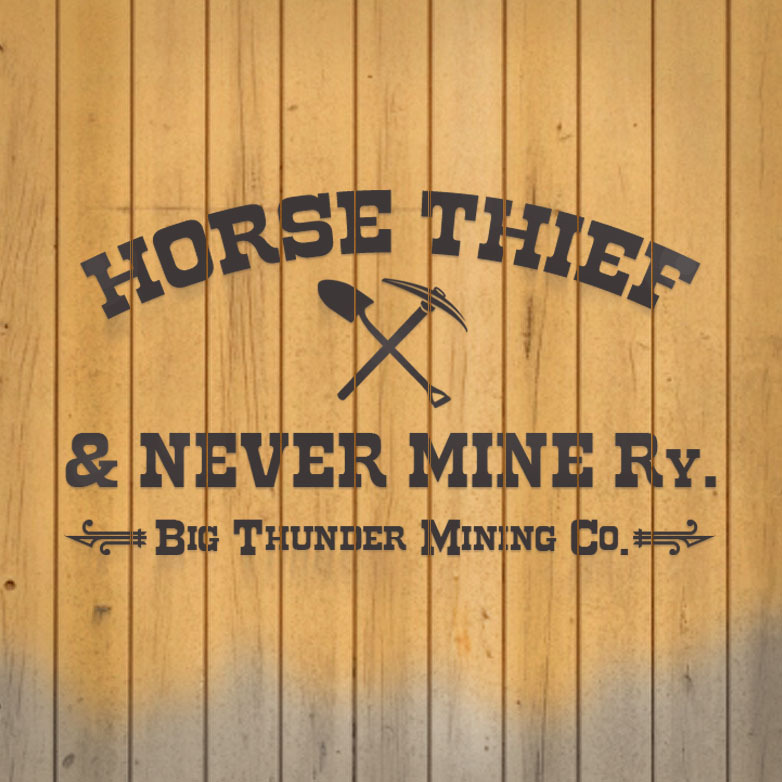 Perhaps this valuable ore is what first drew the attention of Captain Hook and the crew of bloodthirsty pirates who plague the island to this very day. 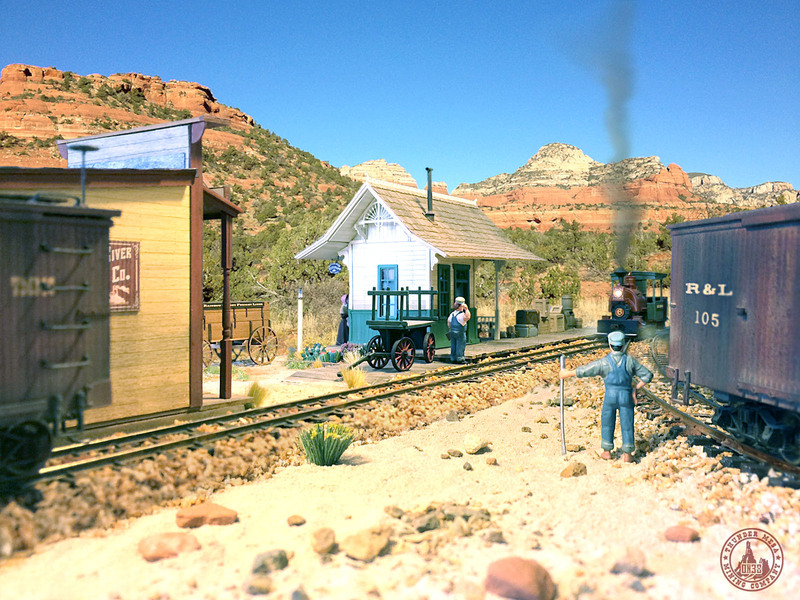 For the uninitiated, HOn30 (or OO9) is basically 1:87 HO scale trains running on 9mm N gauge track. 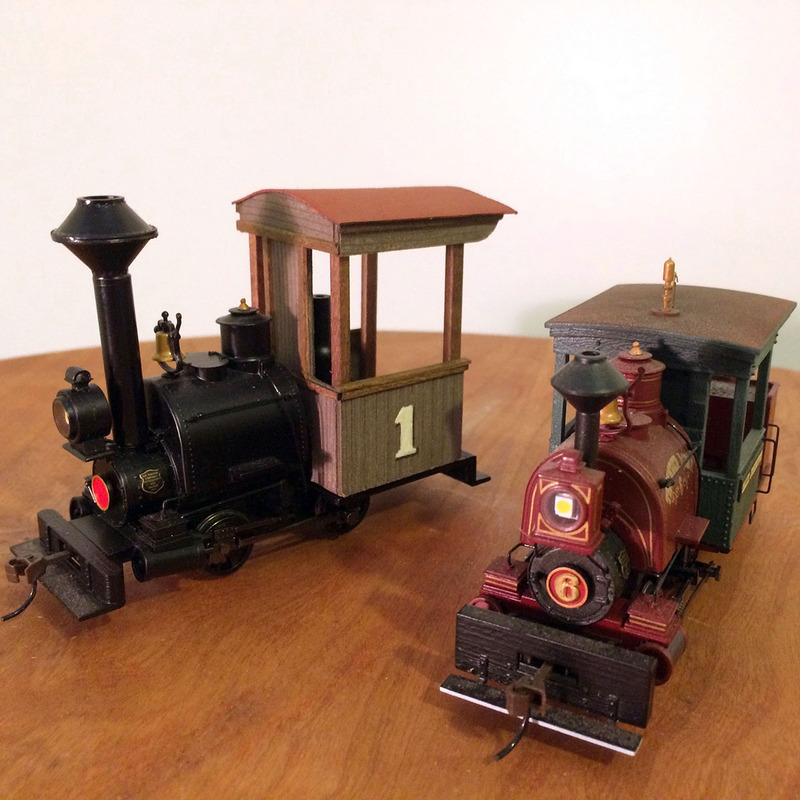 It's most often used to model the 2' narrow gauge lines that once ran in Maine, but I've long been fascinated by the possibilities of this scale/gauge combination, and see it as an ideal jumping off point for something with a British flair. 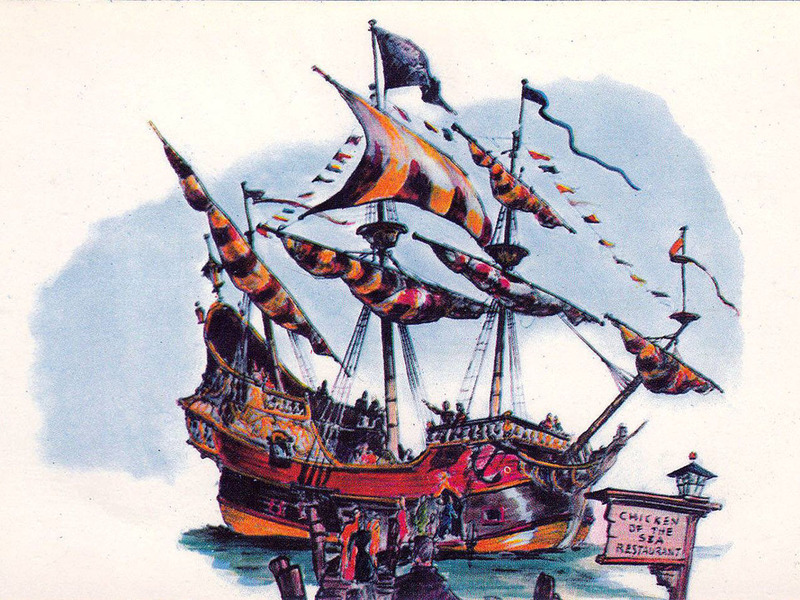 I've also been wanting to do something with a pirate ship - specifically Captain Hook's pirate ship. 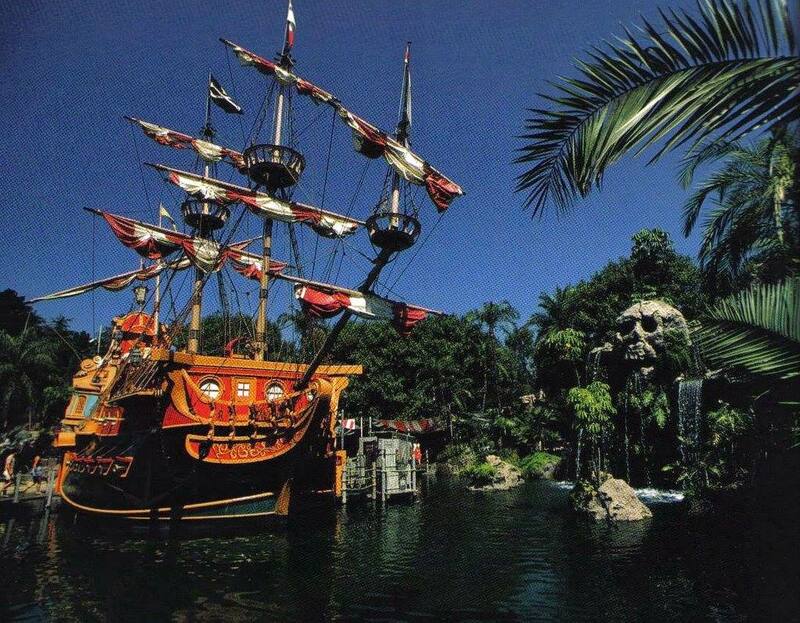 I grew up with Captain Hook's at Disneyland where it housed a tuna restaurant at its anchorage in cool, scenic Skull Rock Cove. 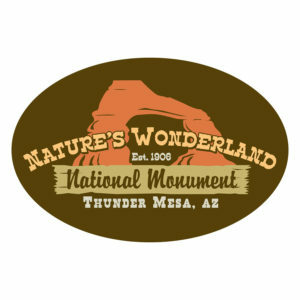 That ship has been long gone since the '83 redo of Fantasyland and it may never come back, but I can have my own version with my own Skull Rock in a little slice of Neverland. 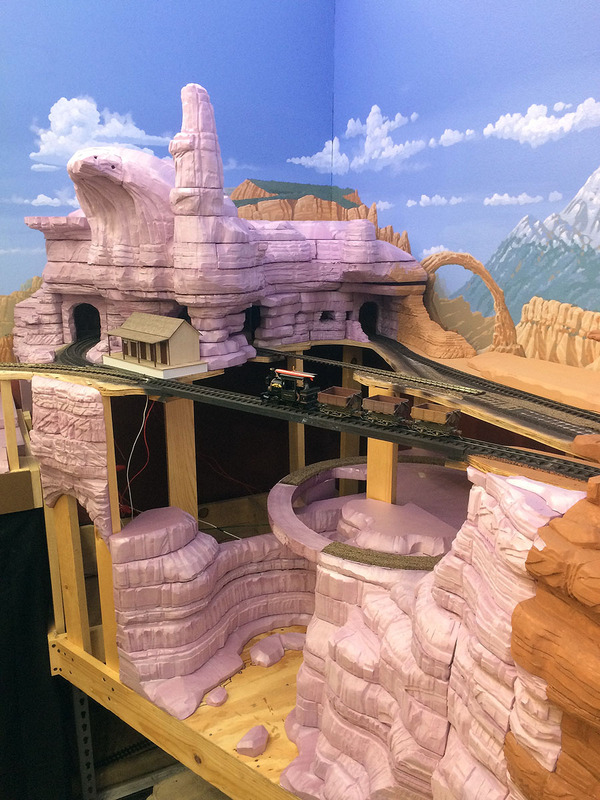 This project will be built across the aisle from the Thunder Mesa layout in a narrow 2' x 6' space near my workbench. 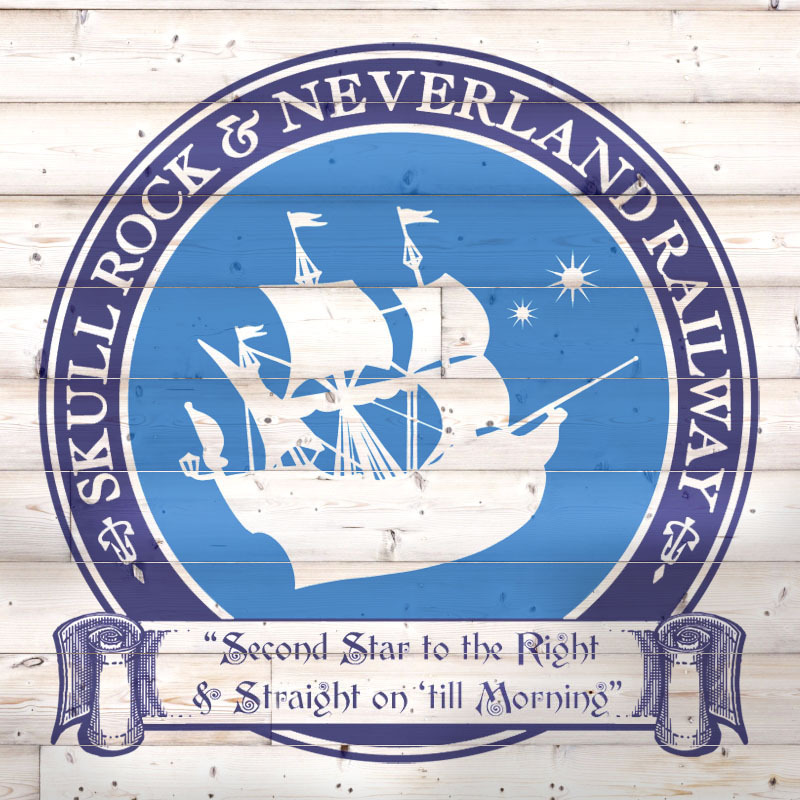 Much of Neverland itself will be conveyed by the backdrop, and the railroad will wind it's way along the waterfront of Pirate's Cove. Minimum radius for the curves is 9" and the grade is to be determined. 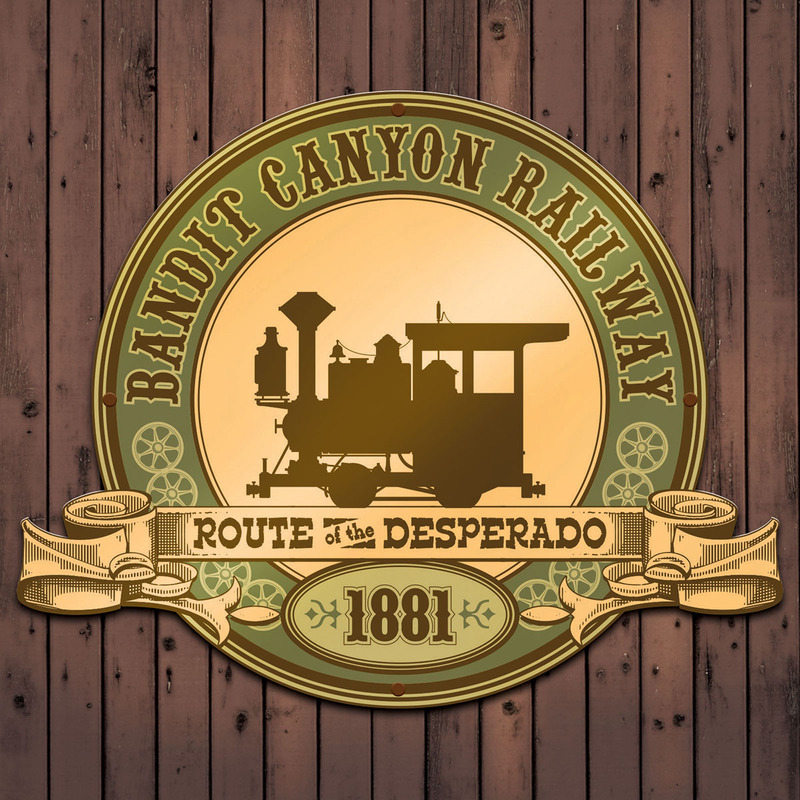 Hope you'll follow along as this project develops! 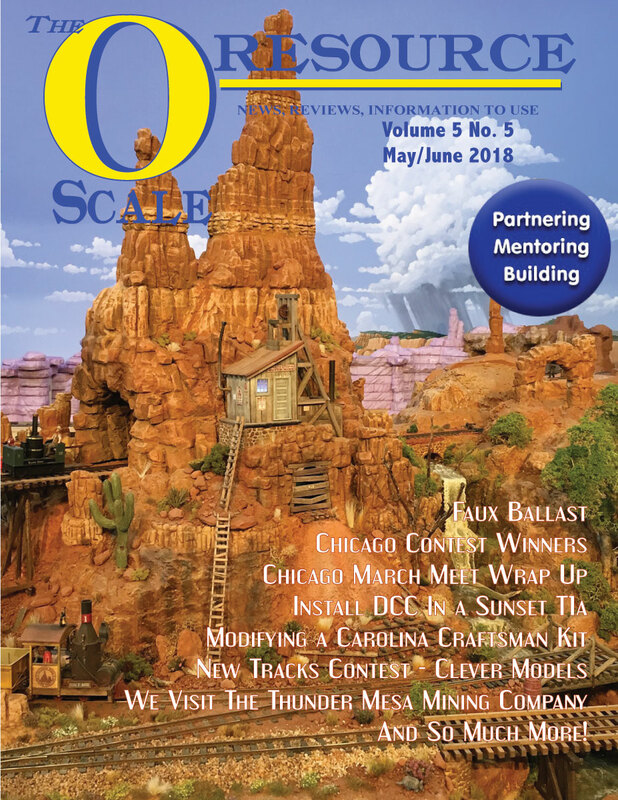 My latest Imagineering column for Model Railroad Hobbyist Magazine is all about "Breaking the Rules" and creative thinking in the hobby. 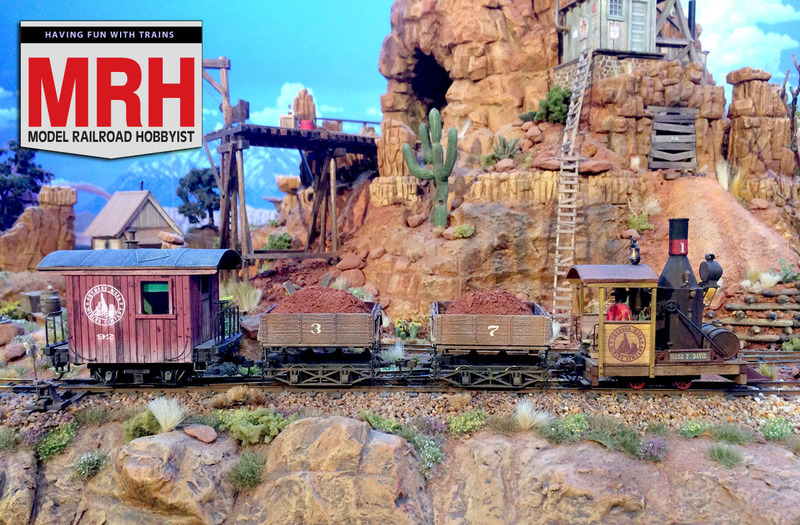 Now available online and you can read it here: Model Railroad Hobbyist Magazine.